Having the right photo can make or break your job advertisement. Don't believe me? Check out our case study to learn just how effective having the right image can be for your job ad. It's crucial to include a photo that will connect with your target group. And don't worry, there are plenty of websites offering free stock photos so it doesn't have to wreak havoc on your budget. Using the correct job title in your ads is crucial for getting qualified candidates. It's not enough to use the title that your company would use or what you think the title should be. You should actively search to see what common job titles are being used and searched for. This can easily be done via a keyword research tool. Alongside of keyword research, SEO is also a critical element to your job ads. Many people do not take the time to make sure that their advertisements are optimized for SEO, costing them potential free reach. While SEO can sound intimidating for those outside the realm of online marketing, this is another step that can be easily simplified by using a tool. 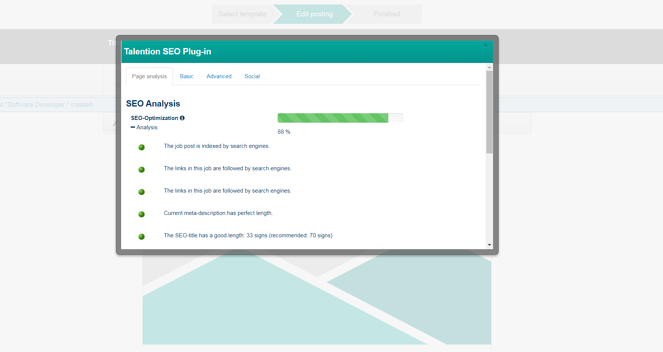 For example, in the Talention software you can do a quick check to see your job ad's SEO score and receive feedback on what you could improve. The only way to improve the success of your job ads is by evaluating them. Analytics can help you to understand which advertisements are bringing you the highest quality applicants. 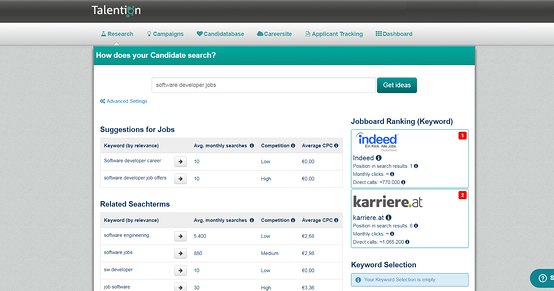 And it can also reveal which job ads are not working and need to be optimized. In our case study, for example, we analyzed a specific job ad and found that the image needed to be changed. After this small change, the job ad was significantly more successful. Your employer benefits are what set you apart from other companies. These are the important points that should be convincing enough to make potential applicants submit their application. Your benefits should be clearly stated and easy to find on your job ad. Some job ads are extremely difficult to read. With no images, icons or even bold text, it looks like one long, boring novel. Applicants aren't going to be driven to take the time to read these types of job ads. Instead, the text should be broken up with bullet points or icons and long sentences should be avoided. And try using emotive language to inspire the applicant. 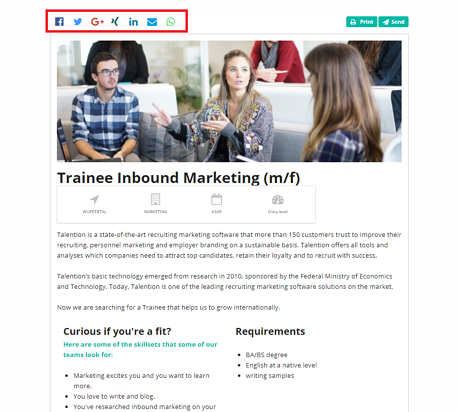 Your job ads should be linked to social media so that applicants can easily share the position online. Even if the position is not the right fit for that particular person, they might be willing to share it with their colleagues or friends. The job description should be well thought out and relevant for the position being advertised. Rather than using the same copy or requirements for every position, the description should be unique and only include the most vital information. Including too much unnecessary information will only deter the applicant from applying. Perhaps the worst mistake of all is not having an applicant tracking system. Having an ATS that has features relevant to job advertisements can be extremely helpful. For example, you can create job ads that are SEO optimized, conduct keyword research, find stock photos, build the advertisement in an easy to read way, and link to social. In terms of the actual application, you can set up the form so that applicants receive an immediate, automatic response from you. And of course you can also set up a talent pool and include that form on your advertisement as well. Do you want to learn more about how an ATS can help you to create successful job advertisements? We will gladly show you further best practice examples and concrete implementation in the Talention software. Just ask for a demo here and someone will get in touch with you shortly. Request a demo now.